Today I will list the top 5 cheap Linux dedicated server providers to try. Of course a lot of people these days would rather get a cheap Linux VPS provider but, I know for a fact that a lot us still need that extra power, those extra server resources, and you can only do that by getting yourself a cheap, but reliable Linux dedicated server plan, I will list a few reasons why you might want to get a dedicated server right now instead of a VPS, let’s begin. Why choose a Dedicated Server instead of a VPS? With the popularity of Cloud hosting and VPS hosting, Dedicated Servers have sort of taken a back-seat. I say sort of because with the rise of Gaming Hosting, popular games like Pokemon GO still need dedicated servers, so dedicated servers are not going anywhere despite the rise of VPS servers like I mentioned. We over at Oxavi Group for example have both a dedicated linux server and we also have a couple of linux VPS machines that host some of our web sites. So depending on your needs, if you are planning to start a hosting company or need to host a gaming server, or maybe you have a popular web site that keeps growing, if that is the case, you definitely need to consider getting a dedicated server. Those are just some of the advantages of choosing a Dedicated Server plan but it is better you actually look at the list below where you can compare which Dedicated hosting company is right for you. Let me know if you think we should add or remove certains hosts by contacting us. 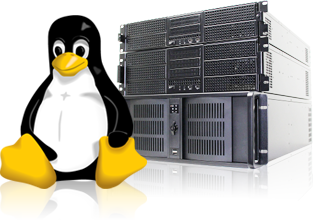 A2 Hosting dedicated Linux servers give you the ultimate in control, power and security. With your own server, there’ll be no more noisy neighbors disrupting your website performance. You’ll have access to all the server resources and horsepower you need for your website. Plus, A2 Hosting has dedicated server experts managing and monitoring the performance of your server 24×7, you can focus on your business. Bluehost gives you a dedicated linux server at your disposal, your websites can experience the best performance imaginable while you enjoy the advanced control and security you need. Whereas most dedicated solutions take hours or days to activate your server after you order, Bluehost technology allows your server to be setup immediately so that you can start working right away. Webhostpython dedicated server plans can be upgraded effortlessly on the fly at anytime, giving your business room for growth while keeping your overhead costs down and maximizing your profits. They also offer the optional deployment of Linux dedicated servers with cPanel and the NginX webserver, full MySQL, XCache, InnoDB, MyISAM, and php optimization with personal routine tweaks to take your performance to another level. They configure your dedicated server to be specifically optimized for Enterprise hosting, Game hosting, Joomla, Drupal and WordPress resulting in blazing fast loading speeds for your blog based websites regardless of the amount of traffic you receive. A Small Orange has powerful dedicated servers that provide the ultimate hosting experience. With full root access, your hosting environment can be fine-tuned to your exact demands. A Small Orange makes sure to secure, monitor, and maintain your server for you, so that you can concentrate on running your websites worry-free. All A Small Orange dedicated servers runs on enterprise quality parts – from the power supplies, motherboards, and CPU, no shortcuts have been taken. These servers are built to last, and are backed up by a rock solid and tightly controlled network. SiteGround dedicated linux servers allow you to easily host your website on a high-class dedicated machine set up and managed by some of the best system admins in the business. In addition, they provide a lot of highly innovative proprietary software to boost your server performance and give you more functionality than anyone else.